Long-running Pirom-Aree’s is known for two things: warm hospitality and a difficult-to-find location down a dirt road to the north of town. 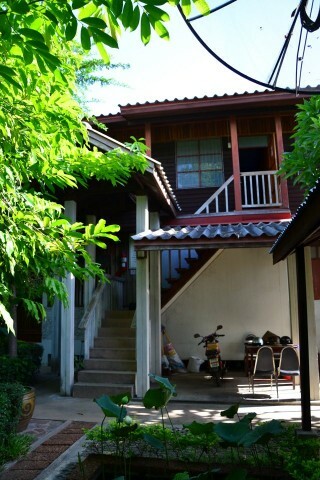 The guesthouse feels more like a homestay and is set in a wooden house surrounded by pleasant gardens. The well-kept rooms are basic fan-cooled deals, and cold-water bathrooms are shared. A simple Thai menu is offered in a tiny restaurant where you can chat with the friendly owners and other travellers. Mr Pirom and his wife Aree got their start in the tourism business in Kanchanaburi back in 1988, and he is also a licensed guide who offers several itineraries, from day trips to week-long tours of Northeast Thailand. Prices vary depending on tours and number of people -- and for one or two people can be understandably pricey -- so it’s best to check when you’re there and see if there are any other takers to split costs with you. On our last visit, Mr Pirom told us that he was thinking about throwing in the towel and retiring, so give a call first to make sure the doors will be open. 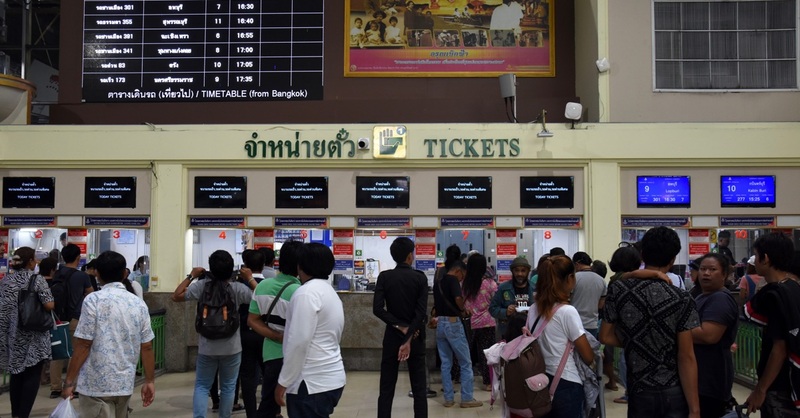 To get here from the train station, head straight west and then go right to cross over the railway lines, then take the first left on Thung Poh Road. Follow that for a couple of kilometres and keep an eye open for a small blue sign at the top of a lane leading off to the left; at time of writing there was a big chicken statue in front of a khao man gai shop at the corner. You can always call Mr Pirom and ask for a lift, or a tuk tuk from the bus or railway station should set you back 50 baht.